Disney's latest DVC, the Riviera, will be open for rental bookings soon. An email was sent out to Disney Travel Agents earlier this week with new details, and the new logo was featured. Since Disney’s Riviera Resort was first announced in July 2017, Agents have asked to be kept informed about the newest Resort. With that in mind, we wanted you to be among the first to hear some exciting updates. Construction is progressing extremely well on the proposed Disney Vacation Club Resort, and it’s currently on schedule to open in Fall 2019. 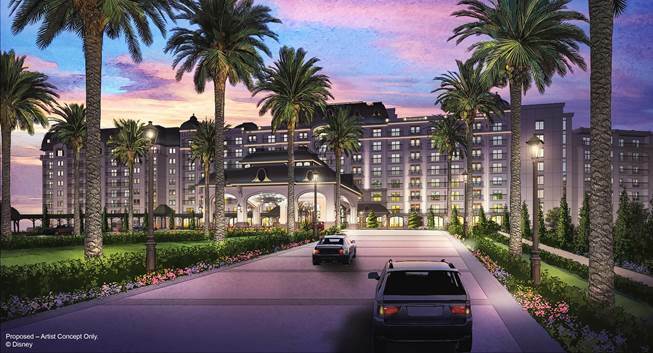 Disney’s Riviera Resort will begin taking rental reservations for your Clients this month. Also, Disney Vacation Club Members will be able to book this Resort with Vacation Points this Spring. More information will be available via Disney Travel News soon. When it opens its doors, Disney’s Riviera Resort will offer all the grandeur of Europe combined with the magic of Disney. The new Resort will be conveniently located in the heart of Walt Disney World® Resort, and feature unique access to Epcot® and Disney’s Hollywood Studios® via the new Disney Skyliner. When Will Disney's Riviera Resort Open? Disney's Riviera Resort, announced in 2017, will be located where the Barbados section of the Caribbean Beach Resort used to be. Caribbean Beach has just wrapped up most of its construction projects, and we had a chance to tour the new Port Royale last Fall! Live from the renovated Old Port Royale at Disney’s Caribbean Beach Resort! No date was set for the Riviera's grand opening, but construction is moving along at a brisk rate. The Skyliner gondolas are being tested as we speak, so it won't be long now! Are you excited about the Riviera resort? Leave a comment below! I know this may be a very stupid question, but will it ONLY be available for DVC members or will us poor mere mortals be able to book too? Thanks! Hmm. I'm actually not sure @Beccy! They don't have any links to register up yet as far as I know, just announcing that it's coming.